My name is Réka Nagy-Juharos, I was born in 1983. According to my parents I was begging for a dog since I have learnt speaking. My dream came true when I was 11 years old, I got my first dog, Lujza, a Dalmatian. Lujza was part of our family for 7 years but in a summer somebody thought that it will be fun to poison dogs in the surroundings. Unfortunately Lujza was among the victims. 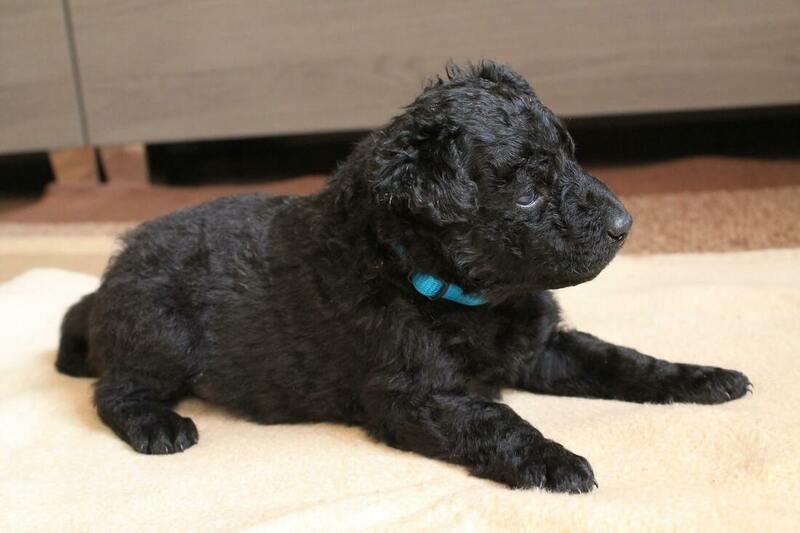 I didn’t want to live without a dog for long time, therefore our family expanded soon with a small Labrador, Molly. 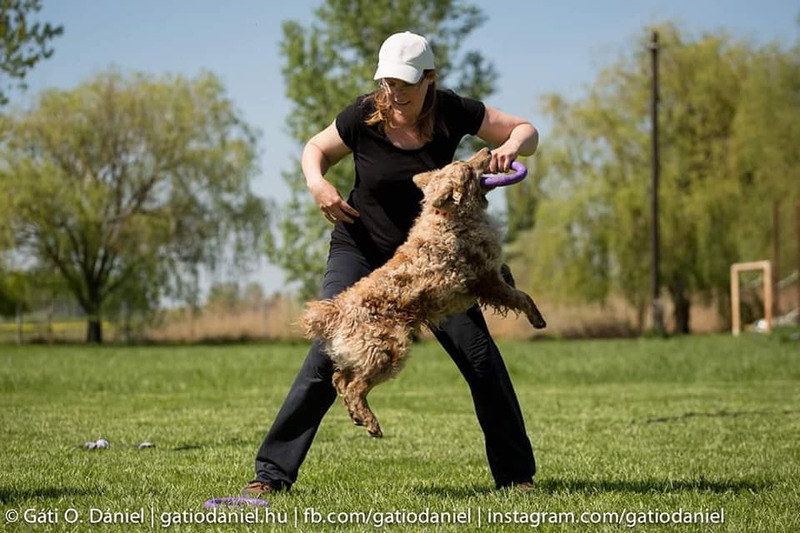 I started to learn the basics of dog training with her in 2000, with the help of Gyula Csikai. 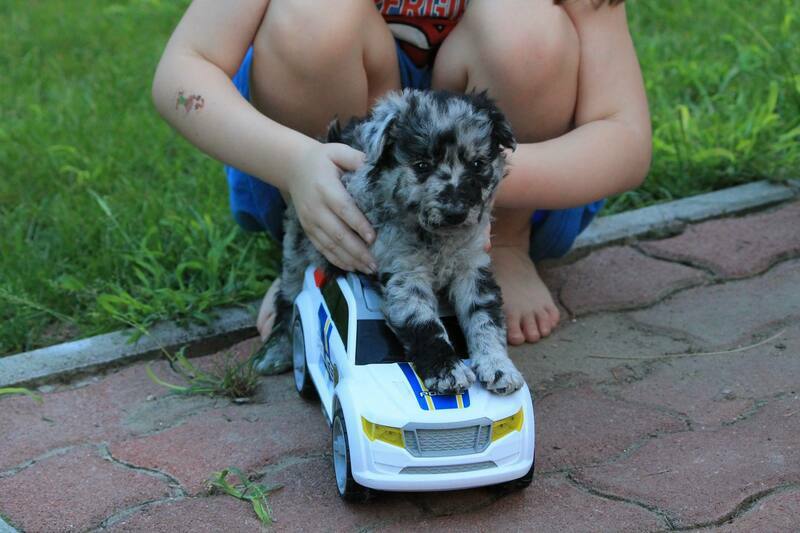 Smoky, the next one, a mixed breed dog joined our family soon. Poor small dog was running on the street in the storm, and I accommodated her, because that time there was no dog shelter in Kecskemét. Later, together with my aunt we founded ‘With Dogs For A Smile Foundation’ where we deal with dog therapy and training of therapy dogs. I also obtained the qualification of habilitating dog trainer. 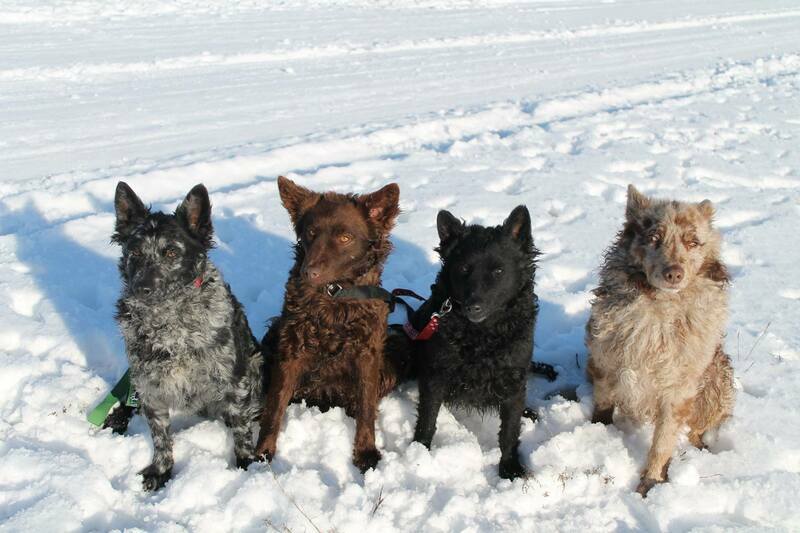 I met the Mudi dog breed in 2011, and because my own dogs were in retirement age, the family broadened with a puppy again, Zalai-Kócos Drága „Luca“. Originally I wanted to raise a therapy dog, but Mudi is not optimal for dog therapy. Nonetheless I fell in love with the Mudi breed, and it was a great experience that my dog paid attention finally after a Labrador. How is an average Mudi? Mudi’s mistrust can also be its advantage, because it doesn’t run to foreigners. Mudi is a very owner-centric dog, it focuses on its owner and the family. Naturally, there are some species which like foreign people but this is rare among Mudis. This doesn’t mean that Mudis are aggressive. They simply don’t make friends with anybody. However, they are appropriate for lot kinds of sport and work due to their intelligence, athletic shape, speed, maneuverability and their focus on their owners. 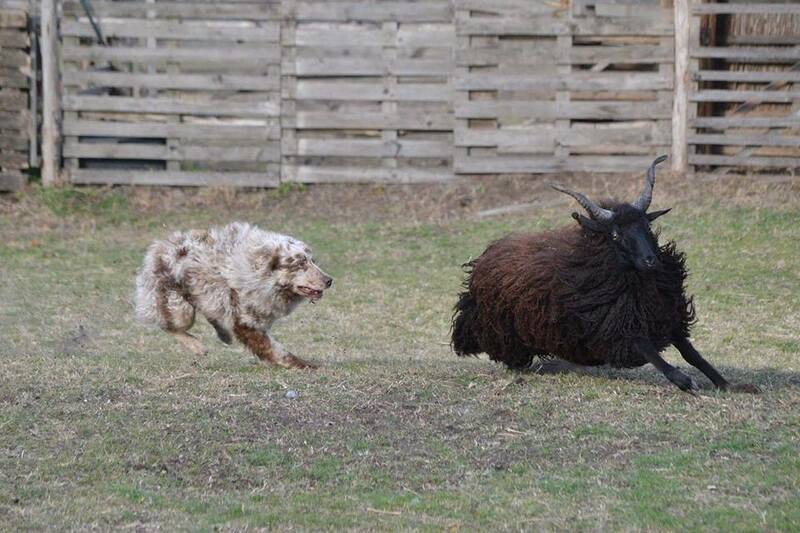 I have already tried the agility with Molly and Smoky, but we didn’t manage to proceed in their training. 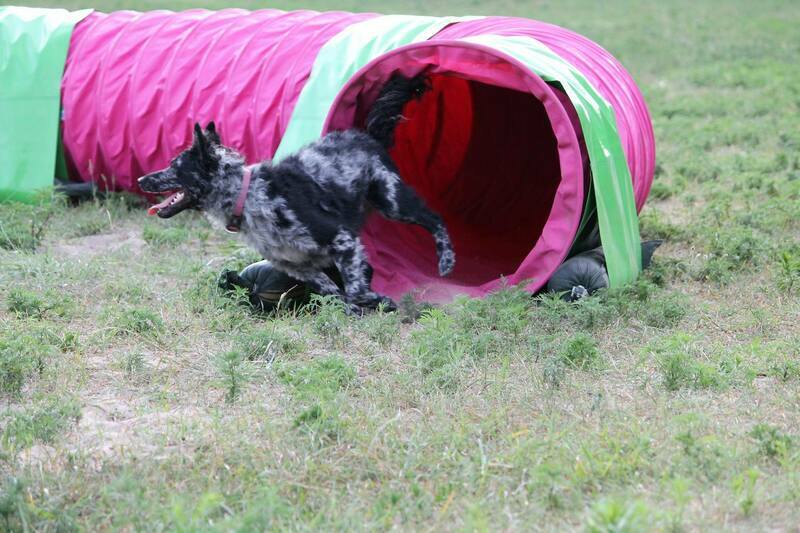 My interest in agility took a new boost with Luca, who learned very fast and developed well. Nevertheless, timing was not the best, because my children arrived in my life that time, therefore my sport activity broke for a longer period. 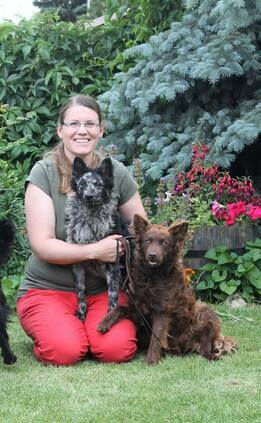 I restarted the training after my third child, already with Luca’s puppy and with other members of the kennel. Each of them is good at something. Some dogs are good at barking for example.  Because the Mudi is a watchdog basically. This fact has to be taken into consideration when choosing a breed. It is very important to tell the future owner that the Mudi is a barking type of dog. Mudis don’t like to switch owners, it is crucial to prepare for a Mudi if somebody wants to buy one. It’s worth to think through how the dog will not disturb neighbours. It is also important to plan raising of a dog which needs lot of energy and space from the owner’s side. At the same time there should be a place for the dog in the house, because optimally the Mudi will want to spend as much time with its owner as possible. However, the Mudi is not only sensitive but very determined. In case of a weak owner the dog takes over the control that is not good for anybody. It doesn’t mean that the owner has to be violent, fortunately the Mudi can be supervised also with tame but effective methods. That’s why I keep contact with the owners of all sold puppies who can turn to me with any problem regarding training and raising, and I try to help them according to my best knowledge! The other question future owners need to take into consideration is activity. Naturally there are differences among individual species but Mudis are active dogs basically, therefore they need active owners. These type of dogs not only need physical activity but they need brain work every day as well. After the appropriate quantity of activity the dog will have rest at our feet in the remaining time. What can our kennel offer to you? 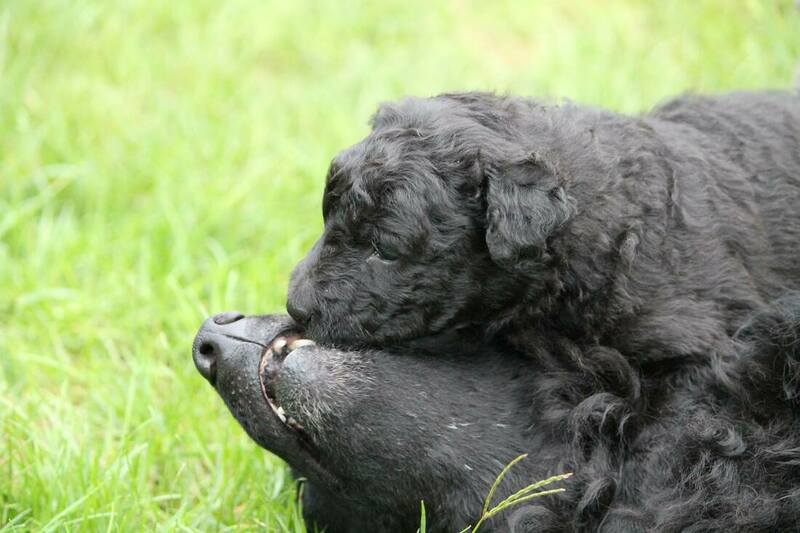 During rearing of the puppy I always put emphasis on socialization, and I try to make opportunity for knowing the puppy well and give a balanced dog to the appropriate owner. After the tests it’s the owner’s task to continue what I have started. It is crucial in case of a Mudi that the socialization of the dog doesn’t end when it gets to its final owner. 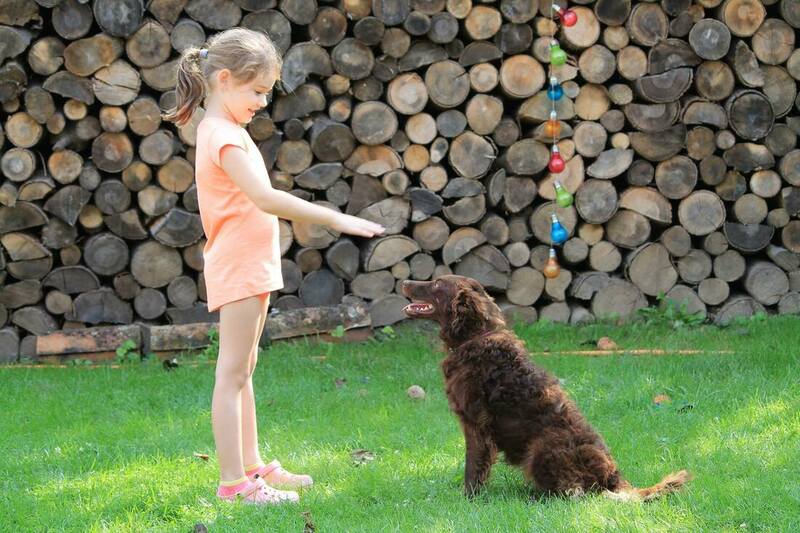 The dog which grows up in a closed garden may take the challenges from the outside world harder, therefore it is important to take the dog for walking, training, dog school even if we live in a family house with garden, so that the dog will learn the proper communication among species. Selection of puppies starts around the 5-6th week or later, we can’t promise to give the puppy to the owner when it is some days old. 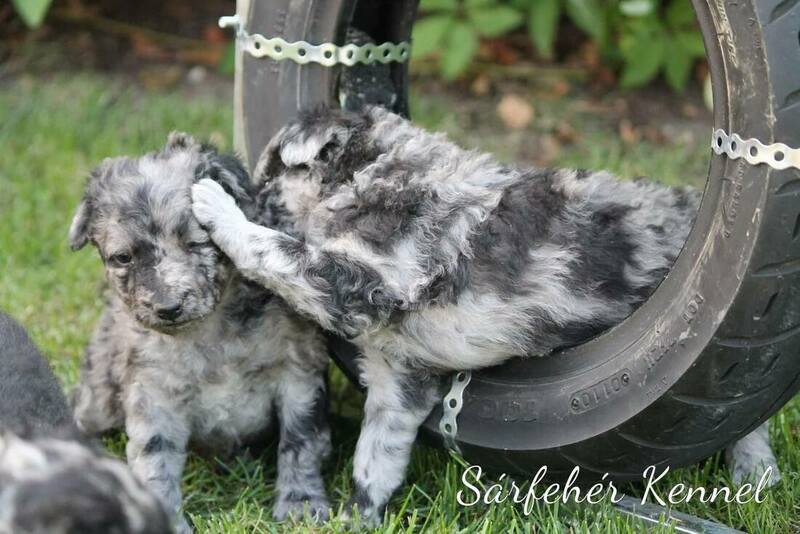 The goal is to find the best puppy for the owner and the best owner for the puppy. In spite of the tests, the nature, energy level and temper of the puppy can’t be known entirely but we try to do our best. Every owner has to decide before buying a puppy what kind of life can and want to offer for the dog. A life that the owner can REALIZE. 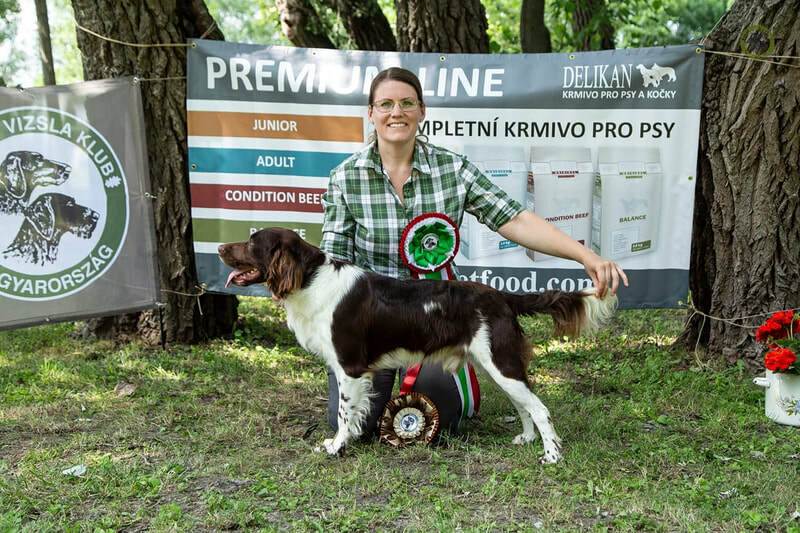 If the owner wants to do sport with the dog, we will choose a dog with high energy level which can be a successful sport dog later, but it’s important to give the dog the opportunity of training and sport, otherwise both of them will be disappointed. 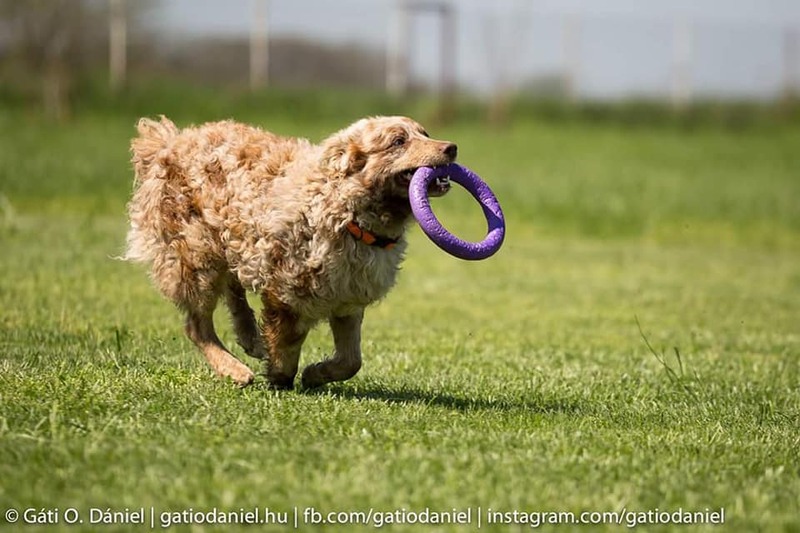 If we are not sure that we will be able to realize our dreams regarding sporting, we should choose a dog with a lower energy level, which won’t be the fastest but will tolerate better if we have less time for sporting and training. As long as my time allows I try to do many types of activities, thus we can develop together with the dogs, and I can also give counsel to owners according to my experiences and knowledge. 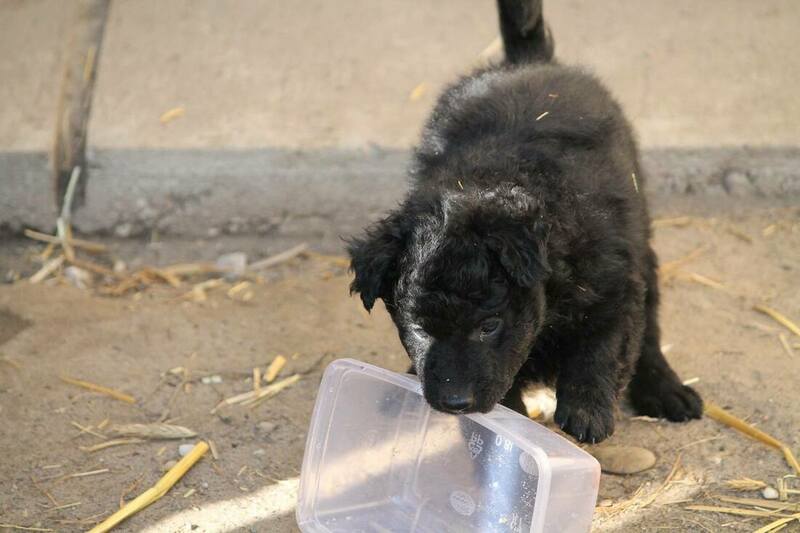 We pay attention to feed puppies properly, give them healthcare (vaccinations, deworming), diverse environment they need, so they develop optimally from physical and mental aspects as well. Fortunately the Mudi is a healthy and long-living dog breed, and we also do health screening of our puppies regularly. However, as we talk about living animals, we can’t eliminate all risks, but we always contract with the owners which means a guarantee for them. Our kennel does not sell a puppy without a pedigree and identification chip. ​We often receive the question if we can give the puppy without papers because it won’t be brought to dog show or be bred. The answer is always NO. First of all the pedigree costs only some euros, the cost of the dog doesn’t include the cost of the pedigree but the costs of breeding, feeding and training the puppy in a proper way. Secondly, as the pedigree of the Mudi is open, it wouldn’t be beneficial if the dog received a pedigree later or be bred later as foreign bloodline. 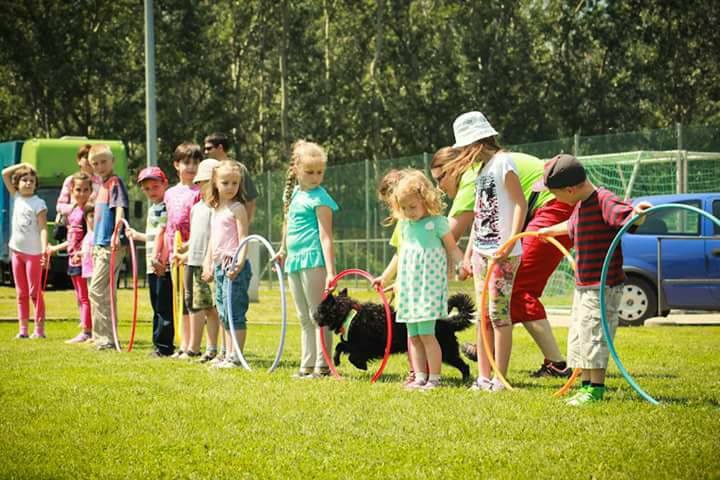 Mudi as family dog, for kids and for holidays? 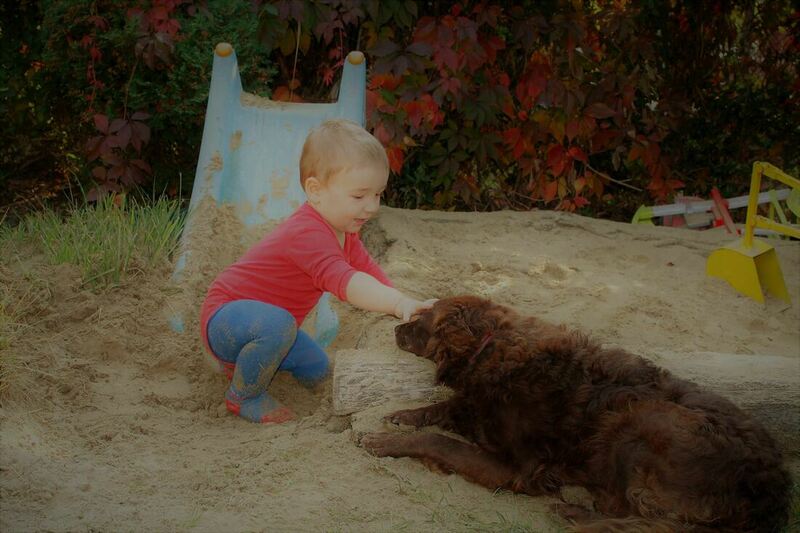 Our dogs are raised among my 3 small children, therefore I can recommend the puppies even for families with little kids. In this case the parents need to take care of the appropriate feeding, training of the dog and also the adequate control of the children in order to avoid mishandle and to support responsible ownership. This refers also to bigger kids! We should buy a dog for the child only if we can guarantee the full attendance in case the child won’t be enthusiastic later, moves away or simply doesn’t have time for the dog. 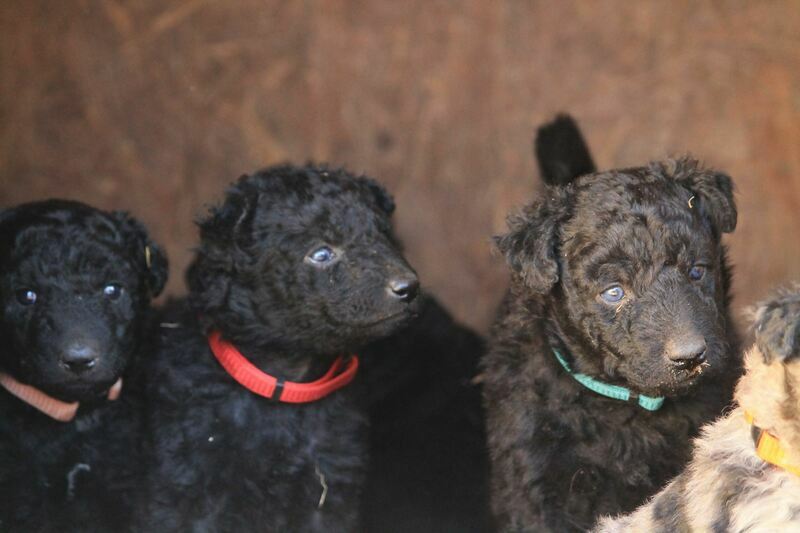 Many kennels don’t sell puppies before holidays. I’m not against it, because a realized dream can give much happiness, but it is very important to discuss with the future owner if they can take the responsibility of keeping a dog for 15 years. A dog is not a toy that can be rented for some weeks and given back, so please always decide about buying a dog with full responsibility.